Port Saint Lucie lies in the heart of South Florida's Treasure Coast, the region spanning Martin and St. Lucie Counties and about an hour's drive north of West Palm Beach. The area is known for its affordable housing, master planned communities, and diverse population. Port St. Lucie is also becoming an employment hub, with its bio-tech facilities, distribution centers, and burgeoning tourism industry. When it comes to homes for sale on the Treasure Coast, the city of Port Saint Lucie offers a wide variety of housing options coupled with some of the best new and resale home values you will find in South Florida. 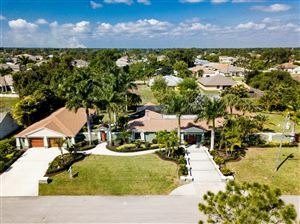 Your FREE List of Up-to-Date Port St. Lucie Homes for Sale will be sent to you. If you are looking to get the most real estate for your money, then this list of Tradition Homes for Sale is for you. Your list of all homes now available in Tradition at Port St. Lucie, Florida will be sent to you along with all new ones as soon as they come on the market.